This classic Nomination Link is from the silvershine collection and will definitely add a touch of romance, colour and sparkle to any Nomination bracelet. 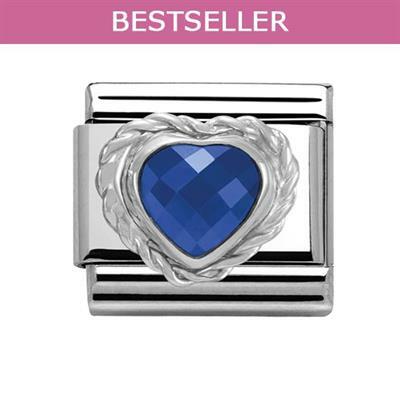 This link has a stainless steel base and a sterling silver frill edge with a central heart shaped blue cubic zirconia stone. Perfect to represent a birthstone or to add a touch of colour to a Nomination collection.